All cruciferous vegetables provide integrated nourishment across a wide variety of nutritional categories and provide broad support across a wide variety of body systems as well. 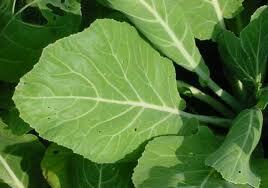 Collards are leafy green vegetables that belong to the same family that includes cabbage, kale, and broccoli. While they share the same botanical name as kale, Brassica oleracea, and some resemblance, they have their own distinctive qualities. Like kale, collards are one of the non-head forming members of the Brassica family. Collards’ unique appearance features dark blue green leaves that are smooth in texture and relatively broad. They lack the frilled edges that are so distinctive to their cousin kale.